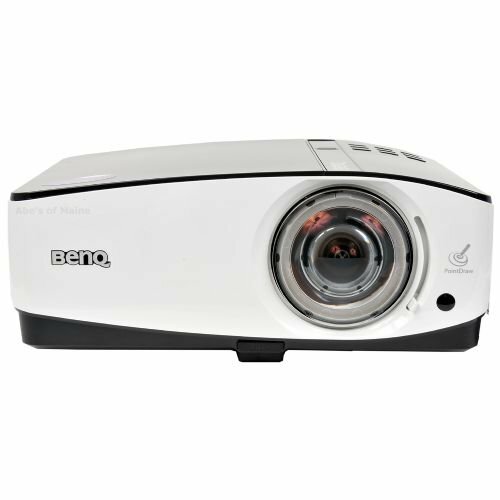 The MP780 ST DLP Projector from BenQ is an attractively priced projector that's as useful in the living room as it is in the conference or the classroom. At 2500 ANSI lumens backed with a crisp 3000:1 contrast ratio, the projector is up to the challenge of displaying sharp 720p/1080i/1080p images even in high ambient light installations. With multi-voltage, multi-color system compatibility, the MP780 ST is a global player. It's also ready for the world of 3D. With DLP Link technology by Texas Instruments the MP780 ST can project 3D images with active shutter glasses (purchased separately). The MP780 ST easily switches from 3D to 2D (standard) to handle various business presentation materials. The BenQ PointDraw projection system is unlike any existing projection systems. It offers interactive capabilities as an interactive whiteboard plus a projector system. 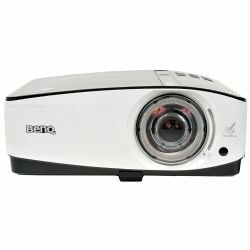 Compatible with any computer operating system that supports a standard USB mouse, this innovative projection system requires no calibration between the projector and the projection screen. The projector's extensive connectivity includes PC and video inputs as well as a variable audio output for external speakers. Control connectors include USB (type A), RS-232 Serial Port and a LAN port for network connection, maintenance updates and security. Box Dimensions (LxWxH) 15.3 x 12.6 x 9.9"